If you have signed up for our O Scale newsletter (if you haven’t you should, you get better deals and all the news) you’ve probably already read that we have started working with 3D scanning. The idea isn’t anything new and neither is the process. Many companies use this process for different purposes. The model railroad hobby has been using varying methods for many years. But the big news for us is that we have found a way to do it ourselves at a reasonable cost. 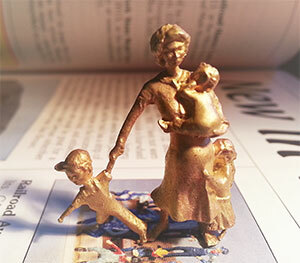 It is now becoming possible for small manufacturers like ourselves to have access to high tech tools that will allow us to sculpt a figure at a larger scale, scan it and then print it out at other scales. I’m sure many of you have seen the news lately with 3D printed guns? We’re printing people rather that weapons… The major difference (besides the lethality) is that the 3D printers we have our figures printed with work at much higher resolutions and are able to print pieces out with detail much finer than most others. It’s truly an exciting time for artists and hobbyist as we are connecting the virtual and tactual worlds in ways only dreamed of. Right now the challenge is trying to figure out just what the possibilities are as it’s overwhelming to realize how many doors this technology is opening for the little guy. 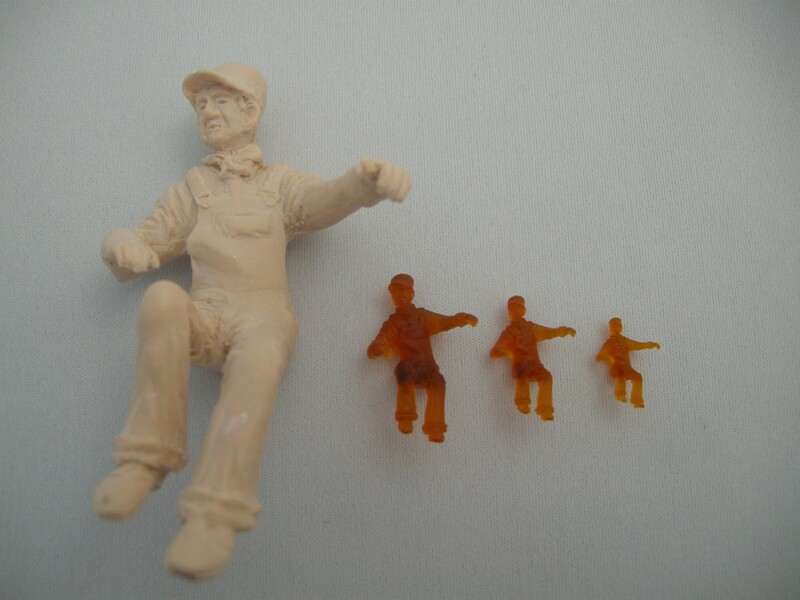 We have already scanned many of our O Scale Figures and of course our G Scale Figures. We’ve started scanning new figures as well. Plans are in the works to start scanning other items as well, even buildings. My dad and I are both very excited using this technology. At the very least they are wonderful tools to be using and see in action.